Old Blue Francesca Williams (2016) has been representing her country at netball since before she joined Blue Coat in 2014. When she was in Year 12, she was selected for the England U21 squad (having played for the U19 squad the year before), which won the U21 Europe title, and toured Australia. At the time, Francesca played for various local teams – including the Western Park Blades, Team South, Surrey Storm – and Blue Coat’s A team, who were county champions in 2015. The School’s netball coach Mrs Claire Dance says: ‘Fran is an excellent player and was a real asset to our A squad. 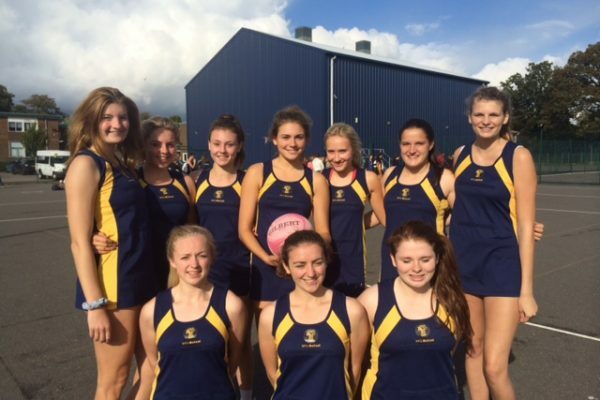 After leaving Blue Coat in 2016, Francesca took a gap year, during which her netball went from strength to strength. She moved to Wasps for their debut season in the Netball Superleague, and continued to play for the England U21 squad – eventually being selected captain for the World Youth Cup, where the team made it all the way through to the semi-finals.